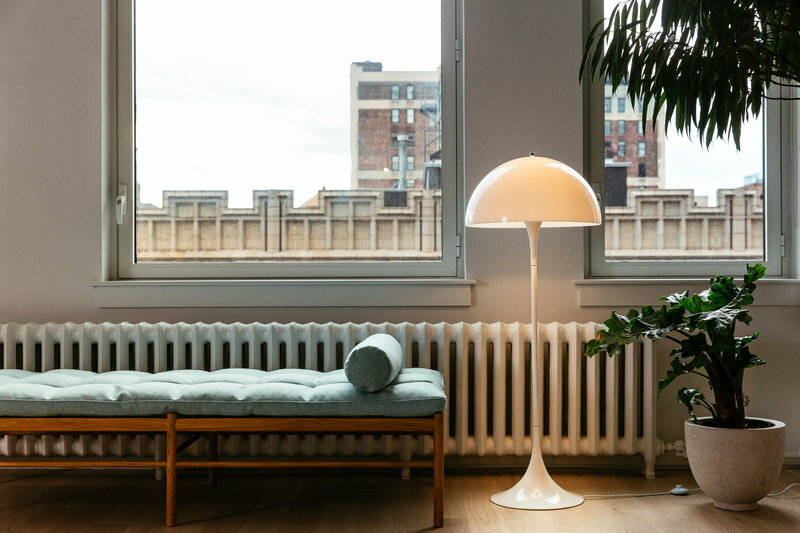 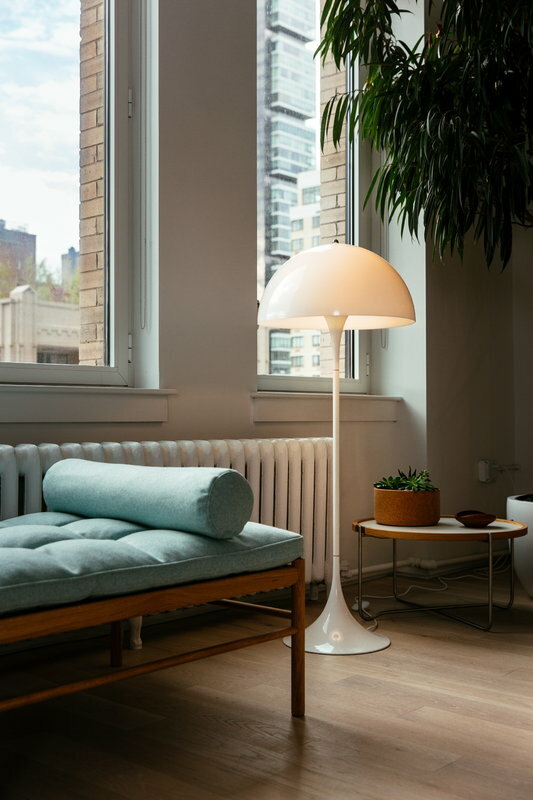 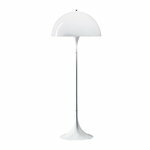 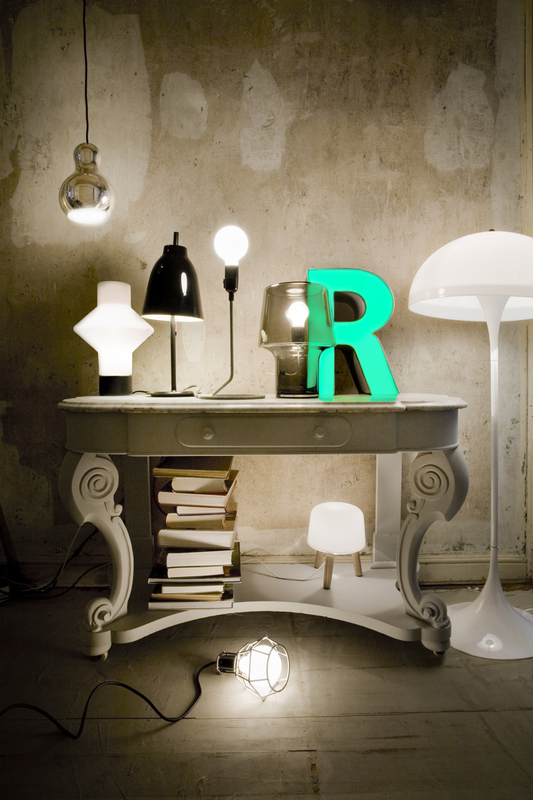 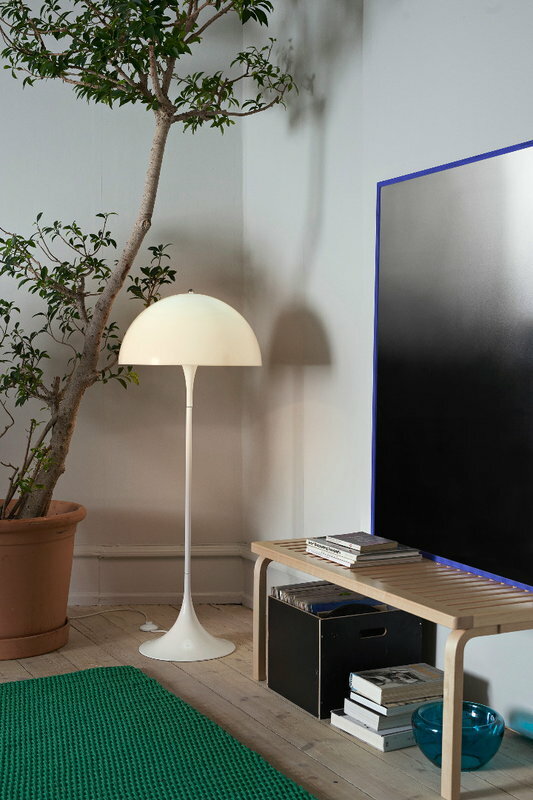 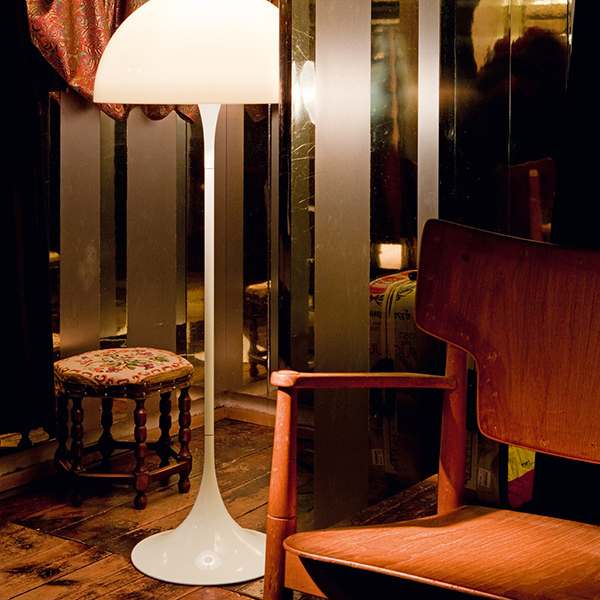 Louis Poulsen's Panthella floor lamp is one of the most popular products designed by Verner Panton. 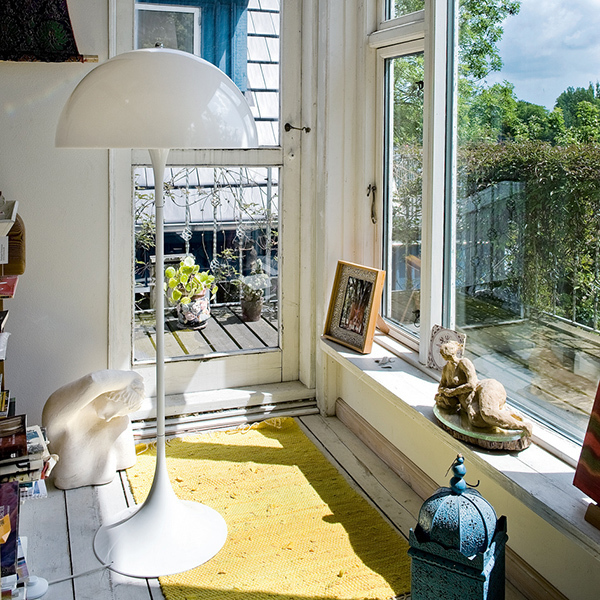 Panton's aim was to create a lamp in which the base and the shade would both act as reflectors. 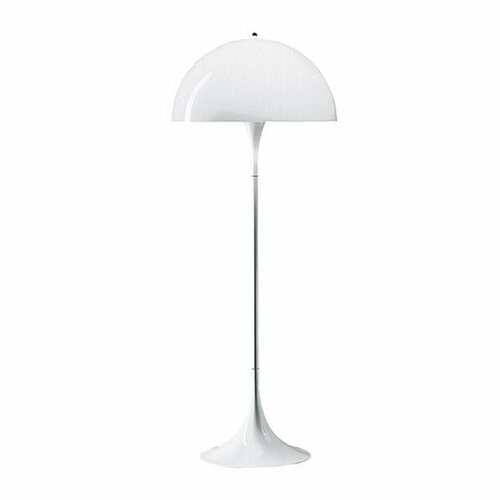 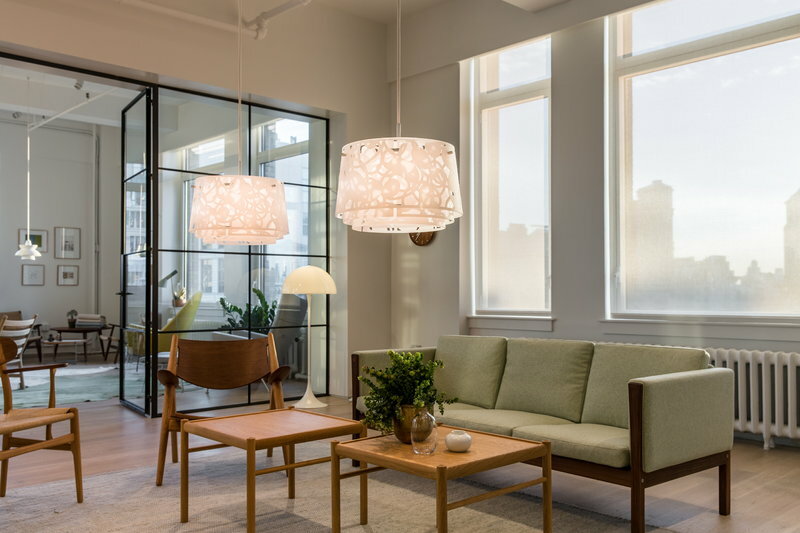 The light source is hidden under the white, hemispheric acrylic shade and the trumpet-shaped base gives the lamp a distinctive, balanced silhouette and also contributes to the distribution of light. 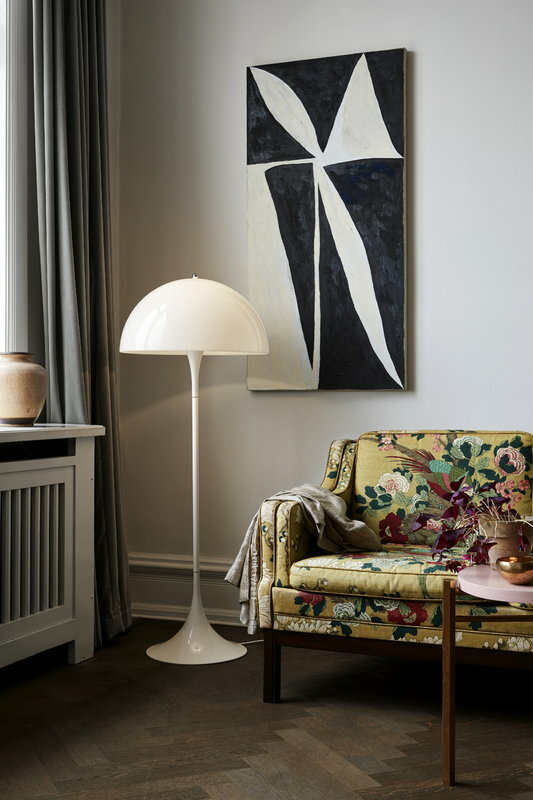 Originally released in 1971, Panthella is today considered a classic of Danish design and is available in a range of sizes and colours.